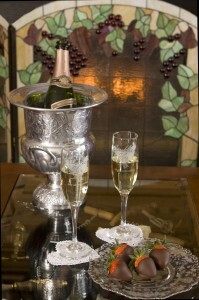 Bring the love of your life to The Speckled Hen Inn Bed and Breakfast for a special Anniversary Getaway evening. Select one of the guest rooms with a king-sized bed dressed with soft fine linens, a romantic fireplace, and a relaxing jetted tub. 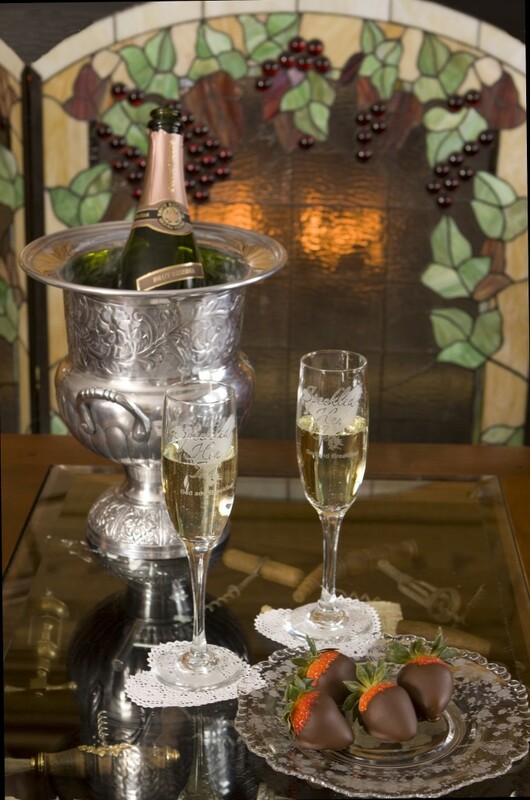 The intimate setting of the Inn allows you to experience a romantic escape without the required time and hassles of travel. And you can actually celebrate on the date of your Anniversary rather than waiting for a weekend to get away. The Inn is located just outside the city of Madison on 20 acres of woodlands, wetlands, and gardens surrounding the Inn. Awake after a refreshing sleep to a magnificent breakfast expertly prepared just for the two of you featuring items from the Inns’ gardens and other local producers. We will be happy to accommodate any special dietary needs. Flowers, chocolates, and other goodies are available upon request and for a nominal additional charge. Just give us a call (608-244-9368) to discuss the ways that we can make your upcoming Anniversary Celebration truly unique and special.